Twitter is an interesting social network to say the least. Unlike Facebook and Instagram, Twitter focuses less on the life updates aspect of social media and is more about sharing thoughts and opinions. This doesn’t mean that Twitter cannot be used to market your business, but it means that Twitter needs to be understood and used properly in order for your business to succeed using the platform. Twitter offers ample opportunity for consumer engagement and allows your business or brand to develop and establish a unique personality that consumers can relate two and engage with directly. Use twitter correctly and a single tweet can potentially put your business in front of millions of users worldwide. Twitter is first and foremost a social platform. Twitter is not the place for the average user to post life updates, sell items, or post pictures of their vacation. Rather, Twitter is about the personality of the user, whether that be an individual or a corporation. Twitter acts more like a news feed than it does Facebook. Where as on Facebook or Instagram it is typical for a user to post a few times a month or week, Twitter is designed for users to tweet daily, if not on a more frequent basis. Whereas Facebook and Instagram are designed around posting about an event/occurrence and allowing for people to react, Twitter is about picking up on notable events, concepts, and occurrences- and re-acting to them. Twitter is a place where individuals and businesses alike can share their thoughts and opinions about relevant topics, rather than information just about themselves. Much like Facebook, Instagram, and YouTube- it is important to plan ahead when marketing on Twitter. Creating a marketing and posting strategy is an essential first step in launching your business successfully onto the platform. Determine how frequently you want to post, what kinds of post your business will create, and what the general rules for user and customer interaction are. When you have a clear outline and vision for your Twitter profile in place, you have a clear roadmap of goals and hurdles already established for you. Your Twitter profile is the most essential aspect of being on the Twitter platform. Your business needs to be unique, but it also has to be relatable enough to want customers and users to follow it or like and share the content that your business’ profile puts out. However, highly successful Twitter profiles don’t just appear overnight, they have to be crafted and refined. There is no secret formula for profile creation success, but there are a general set of rules to follow. Concepts such as usernames, branding, user engagement, and followers/following must be taken into account in order for your business to reach its full Twitter potential. 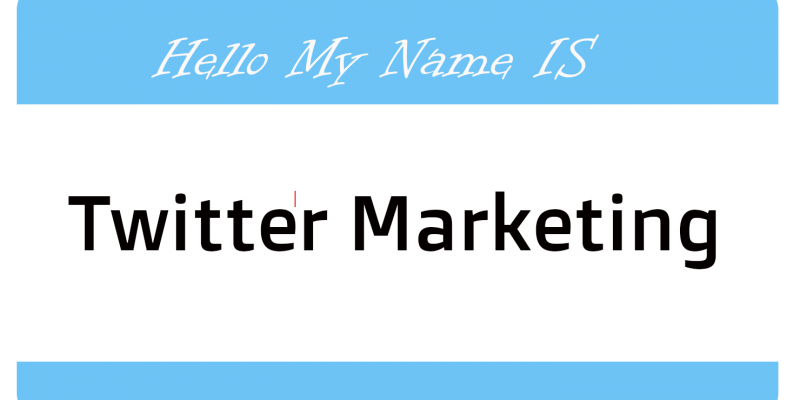 A twitter handle, also known as a username, is how users search for your brand. This is different from the profile or display name, but the two designations go hand in hand. For example, if your company name is “Generic Company INC”, your display name would most likely be “Generic Company INC”. However, your twitter handle could be something shorter and simpler like “@GenericCoINC”. The key difference here is that the Display Name states exactly who or what the account is, while the twitter handle is a simpler, easier to remember designation for your brand that is used when users search for your brand or tag it in tweets of their own. Your brand needs to be consistent across all websites and platforms. This streamlined approach to branding allows for your brand to be easily identified, regardless of where an internet user interacts with it. However, Twitter provides challenges and opportunities alike when it comes to branding. This is simply do to the fact that Twitter encourages communicative interaction between its users to a great degree than most other social media platforms. Twitter is generally a very informal platform, which means the rules of dialogue change slightly when tweeting. When establishing your business’ Twitter brand, make sure that it follows the pre-determined rules of engagement of both your individual brand and the Twitter platform. Don’t be afraid to be less formal and to have fun with Twitter but remember that the brand must also easily translate from one social media platform to the next. Part of maintaining a strong Twitter platform and brand is creating content and posting it regularly. Posting proactively lets your Twitter page establish its own narrative and set the topic for what users discuss with your brand. Creating original tweets to be funny, to share an opinion, or to promote a specific product or service helps your business to proactively use Twitter. Proactive use may not engage with topics that are already relevant and “high-engagement”, but it may allow for your business page to create relevant, high-engagement topics of its own. In accordance with being proactive, it is equally important for your business’ Twitter account to be reactive. Whether your page has a massive audience or a meager audience, engagement with users is the key focus of Twitter. This means that you have to be proactive and encourage engagement, and it also means that you have to be reactive and to respond to engagement, whether positive or negative. If someone loves your brand and sends a shout-out, engage with it. Like and share it, let potential customers see what others are already saying about your brand. If someone had a bad experience with your brand, engage with them and offer support, use your platform to regain their trust and to fix whatever issues they may have previously come into. Engagement is the key function of operating a Twitter account. 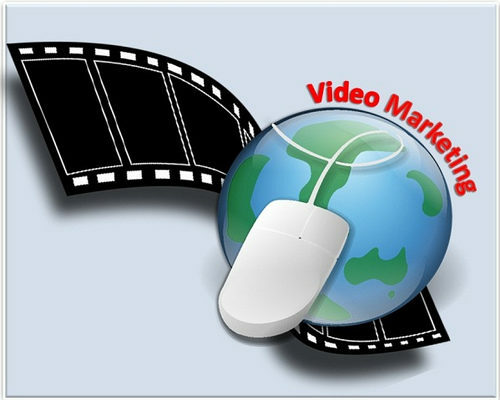 Successful operation and marketing require that you engage with your audience and that they engage with you. Part of being proactive is connecting and associating with relevant other accounts by following them. Your business’ following list doesn’t have to be extensive, but it needs to direct users to similar brands or accounts. This helps users to associate those brands with your account and it acts as a series of external resources for users to verify what your account posts or to find further information from similar sources within your network. Some companies follow many users in order to get a follow back, but this is not a recommended strategy. Rather, this sends a signal of desperation to users that see too many listed in following compared to followers. Your follower account is crucial to the success of your Twitter marketing strategies. If people are not following your account, then they are unlikely to be exposed as to what your business account has to offer them. Unlike following, the higher the follower count, the better. More followers mean that a greater number of users are viewing your content and potentially putting it in front of their own audiences. Tweets are the posts that your page makes. When drafting a tweet, it is important that you take your brand and the relevancy of the topic you are tweeting about into consideration. It is okay to tweet about some things that aren’t directly related to your brand, but overall your page should post in relation to the products and services that your business has to offer. When crafting a tweet; style, length, frequency, content, context, and hashtags should all be taken into consideration. The style of your tweets should be consistent across your profile. This ties directly into the Twitter brand that your business is attempting to build. Your tweets are the easiest way to assess the style and tone of your brand. Some companies, such as Wendy’s choose to be humorous with their Twitter. Others use their Twitter profile as a way to answer questions and offer assistance. Others still use their Twitter to share new releases and product benefits. It is important for your Twitter page to select a default style and to commit to that style when tweeting. Understand what your brand is about and understand what you want to use Twitter for in order to completely understand how your business’ page should be tweeting. Twitter is based around the idea of minimal text input. Initially, the platform only allowed 140 characters per tweet, that limit has since been upped to 280. This doesn’t mean that you should use all 280 characters per tweet. In fact, the fewer characters the better for most Twitter posts. The key here is to condense what you have to say in order to quickly appeal to customers and generate interest in the total package of what your company has to offer. The frequency in which you post is subjective. Companies that have interaction every minute need to post with a greater frequency than companies that merely have interaction every week, day, or even hour. It is also important to remember that your post frequency correlates with your brand. Do you want your company to seem accessible during specific time slots? Then post frequently within that window. When beginning with your Twitter page it is important to post with a greater initial frequency in order to build your content base and to make your page feel more used and accessible. Remember that Twitter is a social media platform centered around user engagement. Twitter is not the place to post advertisements 24/7. Twitter is not the place to tweet office hours and flowing informational posts. Twitter is a place for your business to connect directly with users and to meet them on their level. When tweeting an original tweet or replying to a user engaging with your business, remember that interaction is key. Craft your tweets to leave a positive or memorable impact and watch your engagements on Twitter pay off with sales and engagement on your website or other social media platforms. As with Instagram, hashtags help identify the central themes and concepts associated with your posts. Hashtags also help organize your tweets within your profile and across Twitter. Especially when starting out, utilize hashtags to put your content in front of users looking for similar content. Unlike Instagram, however, do not overload your posts with hashtags. Remember that Twitter has a strict character limit, there is no need to overload a tweet with more than a three or four hashtags. Similar to Instagram as well, Twitter provides ample opportunities to run contests or give-away campaigns. These contests and campaigns encourage users to submit content of their own that relates to the content on your business’ page. Rules are often set so that winners must follow, like, and share beforehand in order to grow the page’s follower base and to encourage greater engagement with the brand. These should not be overdone, but contests can be a useful tool when building a brand. Direct Messaging, or DMing, is an easy way to engage with users privately and directly. Some users utilize DM’s to welcome new followers and to encourage them to check out related links or to funnel them to the primary website and sales page. DM’s allow following users to feel welcomed and to feel special as they are individually greeted. DMing new followers is an easy way to establish a friendly presence for your brand and even to incentivize the user with coupons, discounts, or sales information. However, it is important not to spam a user’s DMs. One message is fine, but if the user doesn’t reply, then you shouldn’t hound them either. Twitter is an exciting and fast paced platform for users to engage with each other on. Similar to a real time news feed, Twitter updates and users engage at a fast pace. 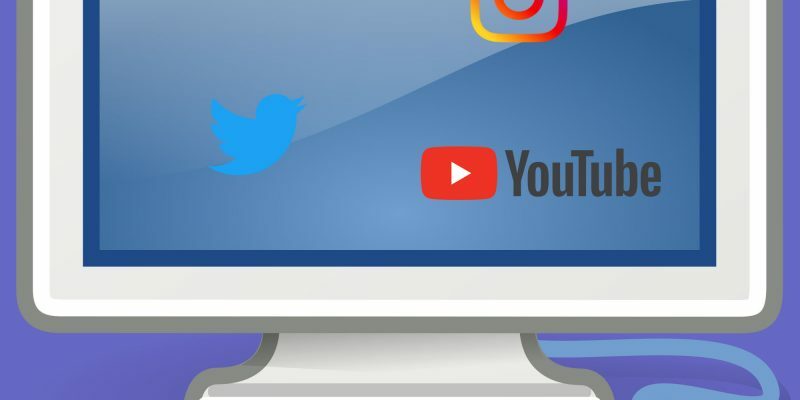 Your business may have a difficult time adapting from other social media platforms, but once mastered, Twitter can do wonders for your brand and your business. Remember to establish your brand and to let that brand personality flow through all of your profile’s content in order to successfully market on Twitter.